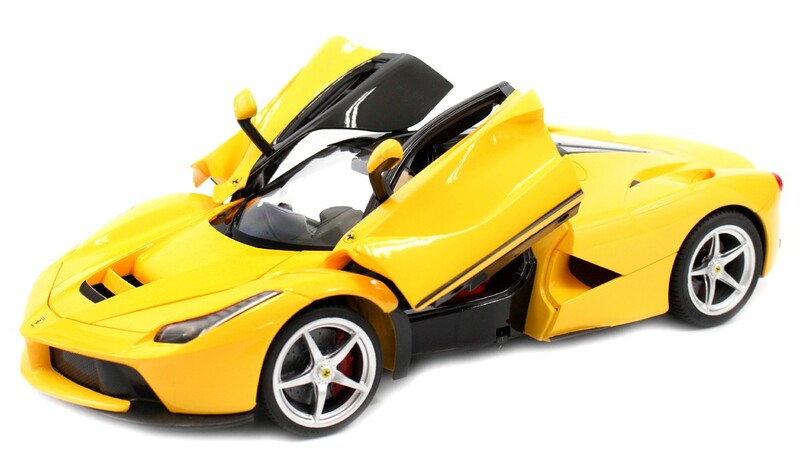 Master Box Dimension : 19" X 18" X 24"
Official licensed model RC car of the Ferrari LaFerrari. 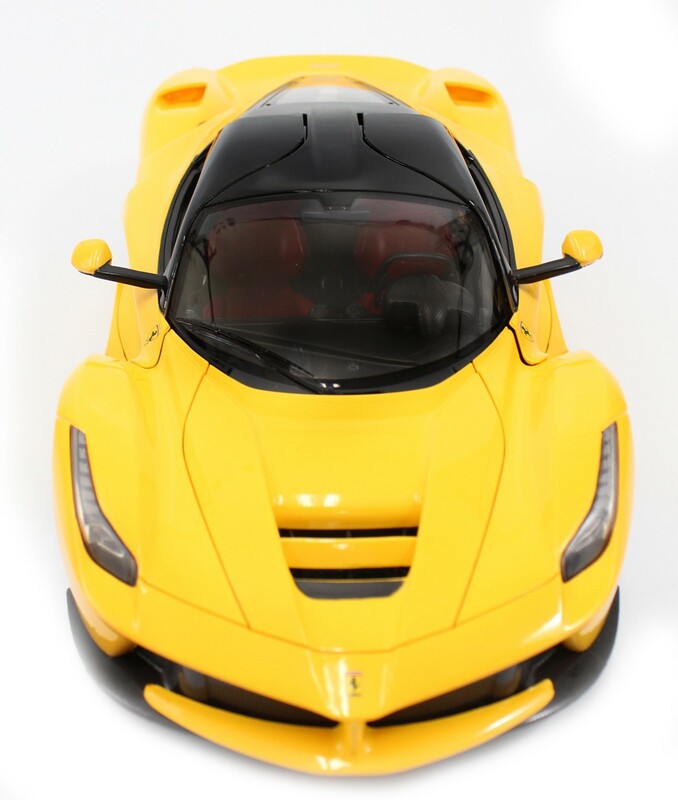 1:14 Scale. 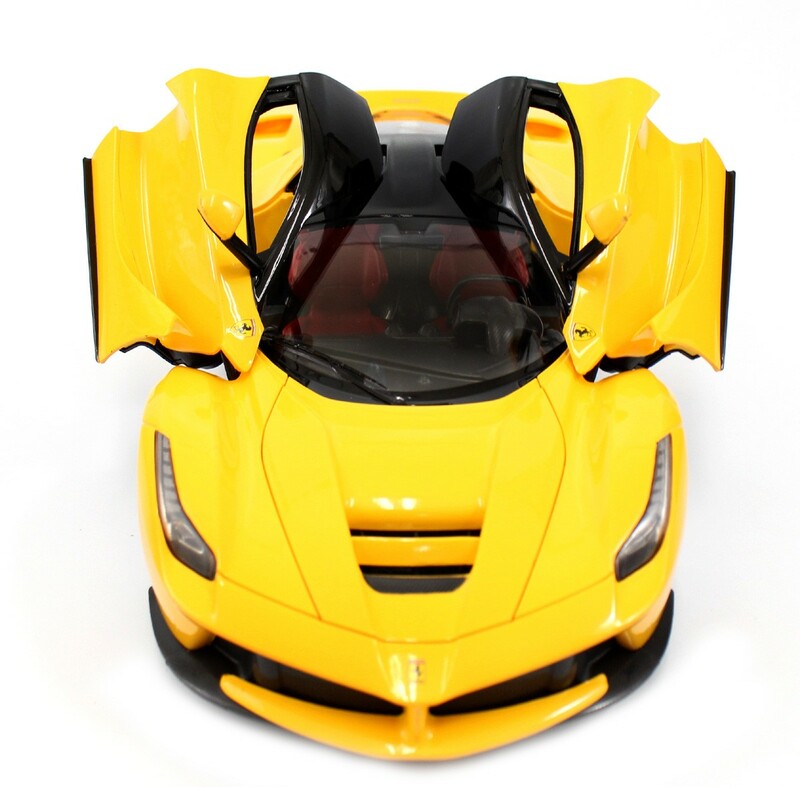 The interior and exterior of the car is crafted with great details to look exactly like the real Ferrari. 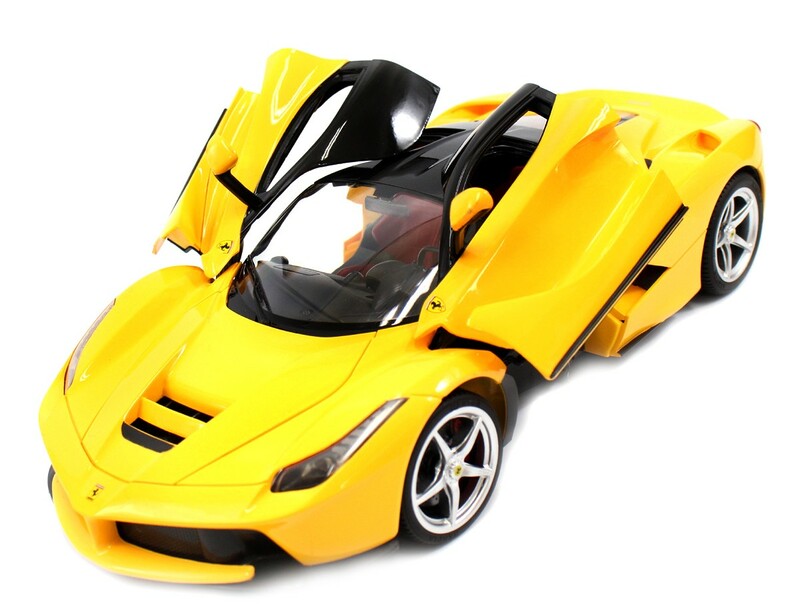 Additionally, it has built-in bright LED headlights/brake lights and doors can open/close. The integrated spring suspensions makes it a smoother ride for the car on uneven pavement floors.